After claiming the Bathurst Soldier’s Saddle on ANZAC Day, hard-working Orange-based trainer Lee Van Den Bos is chasing another feature win with Beau Hoffa. Lee tends to her five-horse team of a morning then heads off to her job as a nurse supporting young men with disabilities and intellectual issues: “It can be tiring but I love it,” she said. 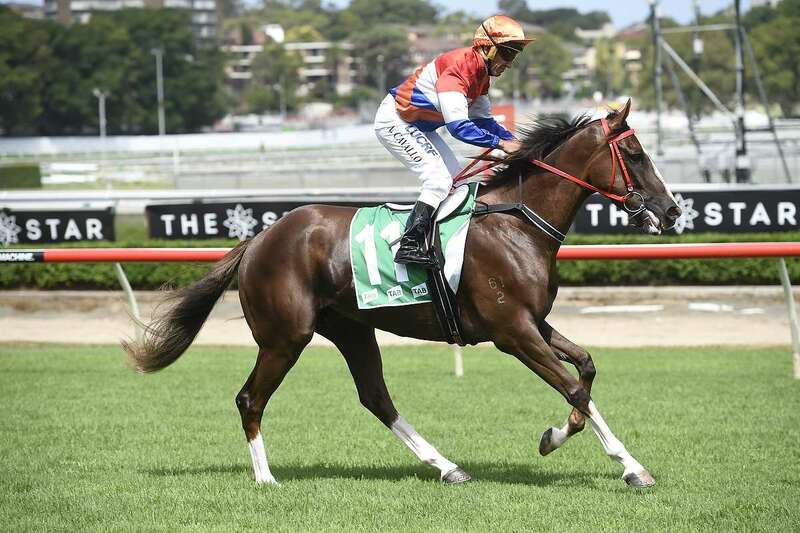 Van Den Bos is likely to start Beau Hoffa in the $80,000 Pryde’s Easifeed Noel Leckie Country Cup (1400m) on Day 1 of Scone Race Club’s huge two-day cup carnival. Beau Hoffa bounced back to his best with a bold front-running victory in the Soldier’s Saddle (1400m) when heavily backed from $11 into $5.50. Previously, the five-year-old pulled hard for most of the way before finishing fifth to Alvin Purple at Orange (1300m). However, it was a different Beau Hoffa at Bathurst when he never looked in doubt: “He was dominant. He has high cruising speed and I took the blinkers off so he came out of the barriers a bit quieter. “He veered out to the middle of the track with 200m to travel when Jake slapped him once with the stick on his right-hand side. But Jake immediately changed hands and he then straightened up. Scone’s Cup Carnival offers nearly $2 million in prizemoney with two days of Fashions on the Field contests with a stack of prizes up for grabs. Scone’s CEO, Heath Courtney, said: “We have a new gourmet food precinct with a big screen that adjoins another new activation consisting of the Iron Jack Bar, a Yalumba Wine bar and gourmet cheese outlet. Features are the $200,000 Darley Scone Cup (1600m) and $100,000 Inglis 2yo Challenge (1100m) run on Friday.